Lithuanian Free Market Institute. Freedom, responsibility and free markets. If you don’t create a free market, a black market will emerge. Who we are: Lithuanian Free Market Institute (LFMI) is a private, non-profit, non-partisan organization established in 1990 to promote ideas of individual freedom and responsibility, free market, and limited government intervention. Our goal is to foster a free market environment which encourages the people of Lithuania to pursue their own objectives in a way that is constructive to the society’s common interests and not through relying on the government. We believe the best way to assist the accomplishment of these common interests is without any privileges, protection or restrictions imposed upon particular individuals. What we do: LFMI‘s team conducts research on key economic and policy issues, develops conceptual reform packages, drafts and evaluates legislative proposals, and aids Lithuanian governmental institutions by advising them on how to better implement free market principles. LFMI also conducts sociological surveys, issues economic literature, and organizes conferences, workshops, and lectures. 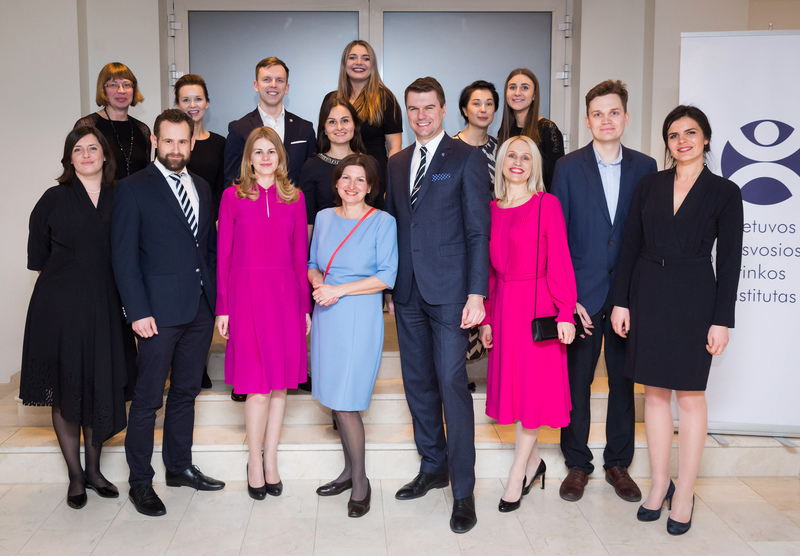 Educational activities are an integral component of LFMI‘s work and are aimed at making free market ideas an integral part of Lithuanian society.